Spring is track season, and Atlanta Track Club heads to the oval for the All Comers Track and Field Meets sponsored by Comcast Business continuing Tuesday, June 2 and running each Tuesday evening starting at 5:30 p.m. through June 16 at the Emory University track adjacent to the Woodruff Physical Education Center. The Mile at this week's event will be timed and included in the 2015 Grand Prix Series standings. This is the seventh event in the 2015 Grand Prix Series. Registration for the Mile Grand Prix event will be separate from All Comers registration and will open May 2, 2015. Participants are only required to register one time for the entire series. If online is not an option, registration forms will be available on site. Race day registration and athlete check-in will open at 4:30 p.m. All participants are asked to register/check-in at the entrance to the track off of Eagle Row (across from the Peavine Parking deck) at least 30 minutes before their first event in order to receive a wristband each week showing they are officially registered. Atlanta Track Club members wishing to take part in the TIMED Mile as part of the 2015 Grand Prix Series MUST pre-register for the Mile and in order to be included in the Grand Prix results - no race day registration will be available for these events. 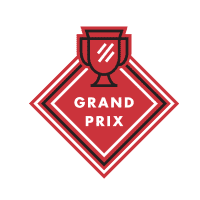 Please note that registering for the timed Grand Prix track events is in addition to the general registration required for every 2015 All Comers participant. All participants should report to the start line of their event for check-in. Events can begin as much as 20 minutes ahead of schedule. Parking is available in the Peavine parking deck adjacent to the track; very nominal fees may apply. The Peavine parking deck opens at 4:00 p.m.
New this year, All Comers will feature a series of invitational events on May 12 and June 2. These events will provide an opportunity for elite athletes to showcase their talent. 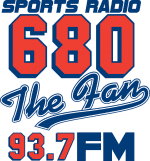 Other participants and spectators will enjoy watching and cheering on top local talent as they compete in select events. This week’s invitational events include the 800m and 1500m for both men and women. Events will be sanctioned and include fully automatic timing. For more information, email [email protected]. Kids of all ages will have a chance to win some great incentive prizes based on the number of events they participate in over the seven weeks of the All Comers series. Several of Atlanta Track Club's Kilometer Kids groups/schools will use the All Comers meets to log extra miles toward their goal of running 26.2 miles over 11 weeks each spring. For the All Comers events, all events are hand timed, results are not recorded. Invitational and Grand Prix events are fully automatic timing and results will be available on site at the tent located at the main entrance to the track and will be posted within 48hrs, www.atlantatrackclub.org. Events are held rain or since but in the case of severe weather a delay or cancellation may occur. Please monitor the Atlanta Track Club website, Facebook page orTwitter account for up-to-date information on possible delays or cancellations.